Dr. Wolf earned her B.A., M.A. and Ph.D. at Johns Hopkins University in Economics. 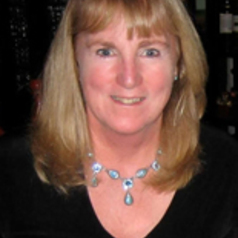 Dr. Wolf is our Department Head and a Professor of Wine Business at California Polytechnic State University. Dr. Wolf’s research interests examine the factors that motivate consumers to buy a particular brand of wine or food. She has coauthored two books on the topic of simulated test marketing and marketing new products successfully. In addition, she has authored twelve chapters in four books examining the factors that impact the demand for food products. Her numerous published research projects examine food and wine consumers in the United States, Australia, Italy, Spain, Ireland, Colombia, Finland and Japan. Her most recent contributions to literature concern consumer attitudes toward wine labels, fair trade, wine closures, the use of social media in wine marketing and the use of technology in wine purchasing.